The tip of the black arrow in the picture below — that's where we live. Drought January 2018. Source: niwa.co.nz/research-subject/drought. 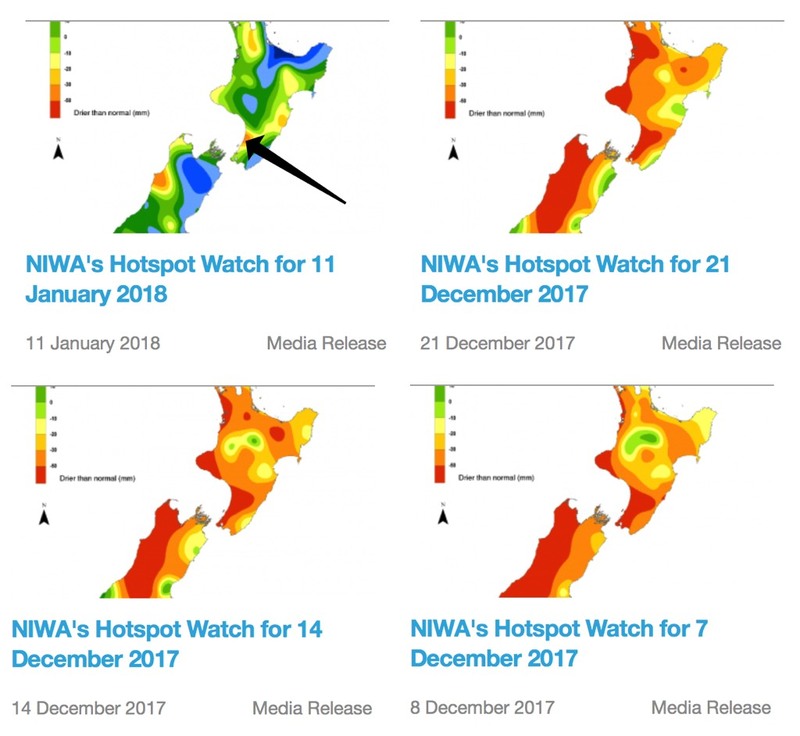 When I check the NIWA Drought Index today though, I see we're still actually in the deep red.